Over the last year or two we have seen the investment cycle gradually restart, mining employment increase and now an initiative from the mining industry and Government to train and attract the mining workers of the future. Everything is lined up. We’re ready for the next mining boom. Looking at the Job Index report, the mining industry in Australia has seen a 32.1 per cent increase in job opportunities in just the last 12 months. Of these opportunities, 60 per cent are permanent, indicating a push from mining organisations to lock in talent for the upcoming war for talent. 20,000 mining jobs are on their way – The Chamber of Minerals and Energy recently predicted there to be an increase of 20,000 local mining jobs by next financial year. Iron ore and lithium are the two primary creators of these opportunities. Just last month, two major projects were announced. The largest of the two is the development of the Eliwana iron ore mine and rail project by Fortescue, which just approved a $1.7 billion investment This project will create 1900 construction jobs and 500 full-time positions once operations have started. Predicted to begin a little sooner is the new lithium refinery at Kwinana in Western Australia, by Western Australia Lithium. This project is expected to create around 400 new mining related jobs and is forecast to commence mid-2019. As the demand for lithium increases globally — with Australia set to provide the lion’s share of the commodity worldwide — this is a space we expect will continue to require new jobs in the coming years. News of a boom always comes with excitement. But what mining employees and employers alike need is direction on what to do next. For candidates, it’s all good news! For mining HR departments, this is likely to be causing cold sweats and crisis meetings to explore how they’re going to find people to meet these needs. Here are some solutions for HR teams to consider. As demand for great talent increases, there is an excellent opportunity for those outside of the industry to get a leg up in the mining industry in Australia. In many cases, skills will trump direct mining experience. You may have probably heard the stories about a friend of a friend who is earning over $100,000 a year on a mine somewhere in Western Australia or Queensland and wondered how you could get a mining job too. Entry level or unskilled jobs, like trade assistants or plant operators are hard to get now as every man and his dog are applying for them. The best way to get these jobs would be to move out to the little mining towns and live there and register with all the labour hire companies, there are hundreds of them. Trades people like fitters, welders, boilermakers and electricians still have a fairly good chance of picking up work on mining sites. If you don’t have a trade, doing a rigging or scaffolding course would give you a good chance at getting a job, the courses are only about 4 weeks long, but they are fairly expensive. Other unskilled or basic jobs available include cleaners, laundry workers and kitchen hands which is not difficult if you have hospitality training and experience. Talking to people who are currently working on mining sites can be a big help, especially if you have no previous experience or qualifications. It would be even better if you could get in contact with expats from your own country who are working on mining sites. They can let you know who to call and what you need to do. If you are inexperienced and unqualified you need to be fit and ready for physical labour. The work will be very repetitive and routine based with long 12 hour days, so you really need to be mentally prepared, as well as physically. Shutdowns are exactly what the name suggests. Every now and then mining sites need to shut down for upgrades, maintenance or repairs and they usually hire people temporarily to work during shut downs. A lot of the work is unskilled and doesn’t last very long, so it’s great for backpackers who want to keep on travelling and don’t want to make a full-time commitment. It’s also a great way to get your foot in the door and gain valuable on-site experience. To do certain mining jobs you will need to get licences and training, or ‘tickets’ as they are more commonly known. There are lots of different types of tickets depending on what type of work you’re going to do. Some tickets can be very expensive and mines in different states require different tickets, so you really need to do your research before you start spending money on courses. Don’t think that just because you’re female that the mining companies and recruiters won’t consider you. 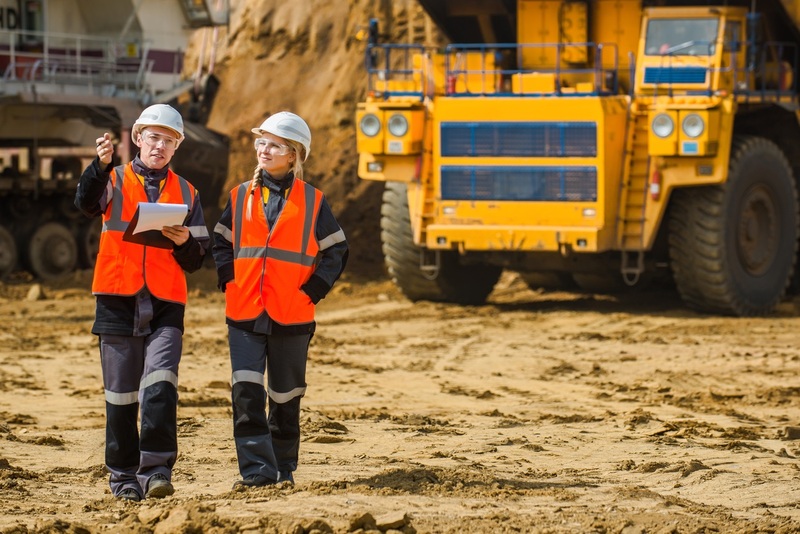 The mining industry in Australia is becoming increasingly gender neutral. It’s not just cooking and cleaning jobs either on offer for women either; more and more women are working on Australian mining sites, and in some cases, companies even prefer women for certain jobs. For example, a popular job for women on mining sites is driving a dump truck because research has shown that women are easier on the multi-million dollar equipment yet still get the job done.